There is not a bone degeneration disease per say, however, there are a variety of diseases and illnesses that may result in the degeneration of the bones. This article will go into detail of the conditions associated with degeneration of the bones as well as possible treatment plans. One of the most common diseases associated with bone degeneration is osteoporosis. 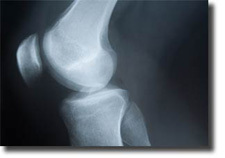 Anyone with this condition has a weakening of the bones that make him or her fracture easily. Most of the time people with osteoporosis obtain fractures in the wrist, hip, or spine. Another disease with degeneration of the bone is osteitis deformans or Paget’s disease. The easiest way to explain this condition is that normal bone is instead gradually replaced by abnormal bone structures. People who are most likely to get diseases like osteoporosis include those who tend to be older in age, specifically, women who have been through menopause. Furthermore, an extensive use and reliance on steroids in the past may make someone be more prone to having these issues with their bones. Several other factors leading to conditions like osteoporosis include the following: smoking, drinking, excess consumption of junk food, lack of exercise, and a lack of calcium. It is essential to understand that for anyone over the age of fifty the chances of having a decrease in bone mass and therefore a development in diseases involving bone degeneration is drastically increased. Regardless of the cause, having brittle bones is not fun for anyone. These diseases can prove to be not only extremely painful, but also crippling in nature. Therefore, most with degenerative bone conditions are left feeling helpless and unable to do the things they once were able to perform with ease. However, there are several methods of prevention to minimize the likelihood of you developing diseases resulting in degeneration of the bone. For starters, it is essential that you begin consuming high-calcium foods and beverages at an early age. Protein is also important for preventing bone loss. It is ideal for you to keep your diet as full as vitamins as possible. Aside from your diet, strength training three times every week may also assist in keeping you from having bones degenerate in your future. Again, all of the above is better able to keep you from developing diseases like osteoporosis if started as soon as possible. Make sure that you are an appropriate weight for your height and age to keep the extra pressure from your bones and joints. Finally, it is recommended that you buy appropriate running shoes and avoid sports that are high in impact. These sports are extremely hard on your body in general but specifically your joints. Since most people with degeneration of the bone have osteoporosis, the treatments listed in this article will be proper treatment for osteoporosis. Most treatment plans aim at keeping the patient from experiencing broken bones. Physicians may prescribe calcium supplements, hormone therapy, alcohol and drug avoidance, pain management for already broken bones, hormone therapy for females, exercise, and more. One of the most commonly recommended treatment options includes behavioral modification to assist with teaching the patient to refrain from engaging in activities likely to cause bone fracture. This obviously also includes diet and exercise programs. In conclusion, although there is not a disease called bone degeneration, there are medical problems that result in the loss of the bone such as osteoporosis. Anyone with these problems will attest to the intense pain and annoyance of frequently fractured bones in essential areas. However, there may be ways to assist in preventing your bones from becoming fragile by working out regularly, eating properly, consuming vitamins as recommended, and having a diet high in calcium. Generally there are few to no symptoms making osteoporosis related diseases seeming sudden. If you are diagnosed with degenerating bones, ask your physician to create a personal treatment plan to help you manage with the symptoms as best as possible.